Family members of workers who are fatally injured in workplace accidents are often unsure of their legal rights. Under California law, the surviving family members of an employee who has passed as the result of a workplace accident may have a claim for workers’ compensation, and a recent decision from the California Supreme Court makes these claims easier to bring. Continue reading to learn more about survivors’ claims, and contact a dedicated Southern California workers’ compensation attorney if you need help with a workers’ compensation claim on behalf of yourself or a deceased family member. A worker injured on the job can bring a claim for workers’ compensation to get their medical treatment covered and, where appropriate, receive disability benefits including pay for time lost on the job. If the worker dies as the result of an injury suffered at the workplace, then surviving dependents can bring a claim for “death benefits,” which act as disability payments that would have been paid had the worker lived but are instead paid to the decedent’s heirs. The employer or its insurer must also pay an amount for burial expenses. Relatives who can claim death benefits include spouses, children, grandchildren, parents and siblings, grandparents, aunts and uncles, and nieces and nephews, provided that they were dependent on the deceased employee for financial support. Some family members automatically qualify as total dependents, including minor children, incapacitated adult children, and spouses who earned less than $30,000 in the year preceding the employee’s death. For minor children, the benefits will be paid until the youngest minor reaches 18 years old. The burden of proof for families seeking survivor death benefits was completely revamped by the California Supreme Court in a recent case called South Coast Framing Inc. v. WCAB (Jovelyn Clark). The court rejected the “significant factor” and “material factor” tests that were previously utilized by some California courts. 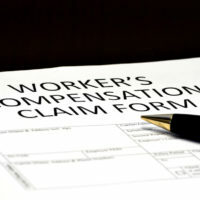 Under the new test, surviving family members may bring a claim for workers’ compensation after a death if “the employment [is] one of the contributing causes without which the injury would not have occurred.” As long as the workplace was a contributing cause to the injury, then the parties may bring a claim for workers’ compensation. If you have a claim for workers’ compensation and want to make sure you get maximum, appropriate, legitimate coverage, call Invictus Law today at (888) 996-7552, and speak with an experienced California workers’ compensation attorney to evaluate your claims.